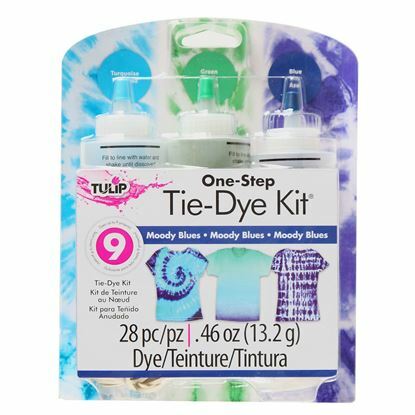 We have a lot of tie-dye techniques on this site that show you how to tie dye like a pro, but sometimes you just want to know the basics! 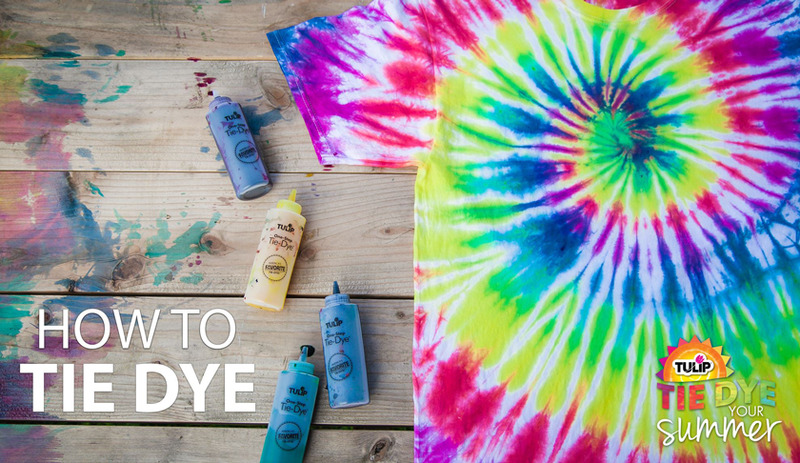 Check out this section for easy tie-dye instructions that will work whether you want to know how to make a tie dye shirt, how to dye socks or any other fabric item! 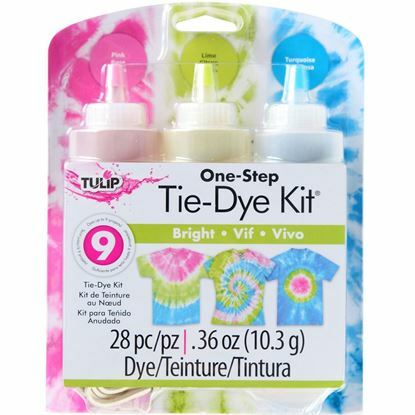 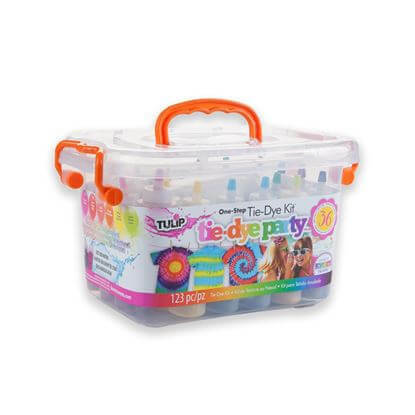 Each One-Step Tie-Dye Kit you get from Tulip contains everything you need except the fabric! 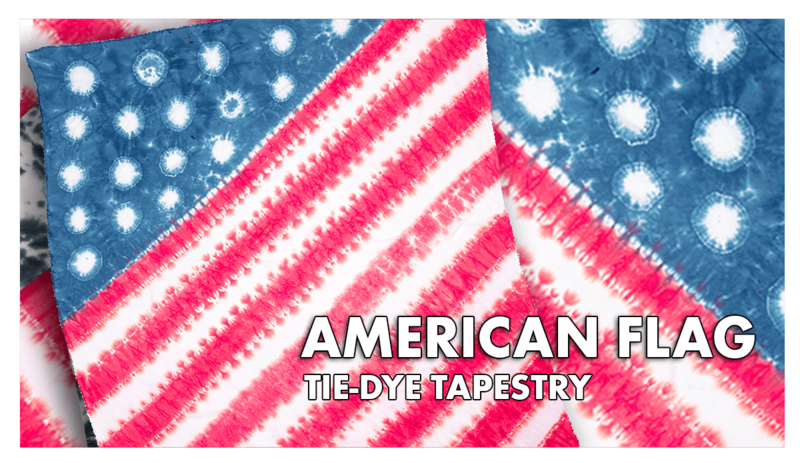 We recommend 100% natural fiber fabrics like cotton, rayon or silk for best dye results. 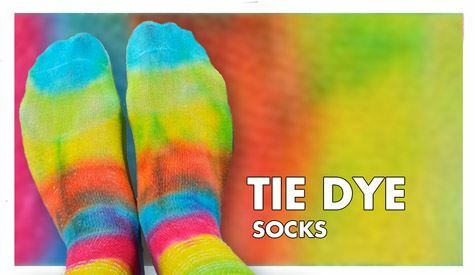 Synthetic fabrics like polyester may not absorb the dye very well, if at all. 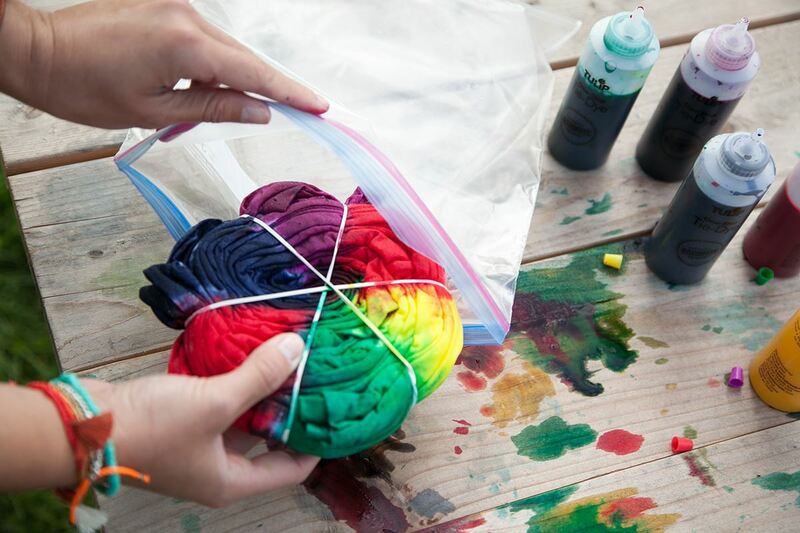 Before you start tie dyeing, make sure to wash your fabric item to remove the sizing. 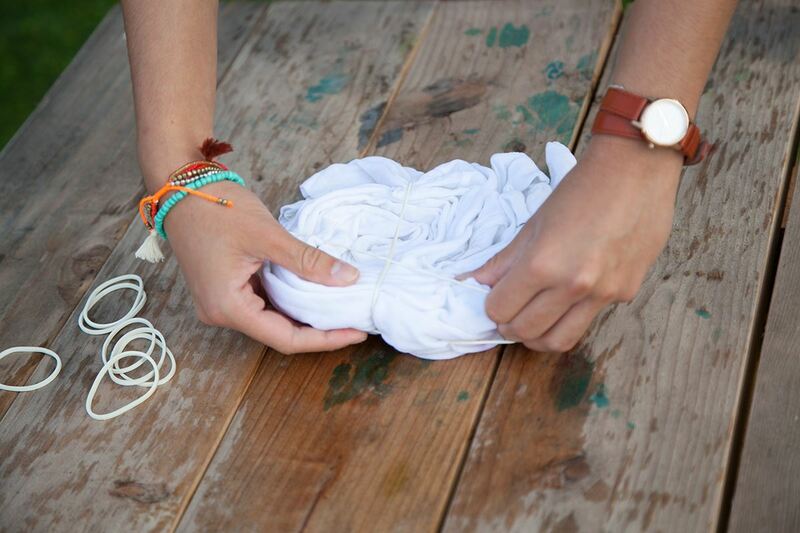 Then grab your damp fabric directly from the washer and prep it for dyeing. 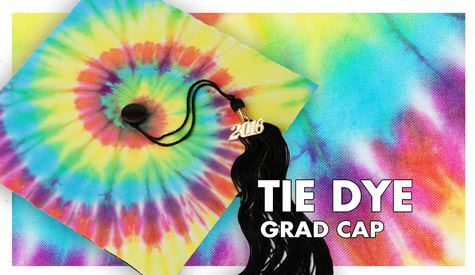 Fold, twist and bind your fabric according to your chosen tie-dye technique. 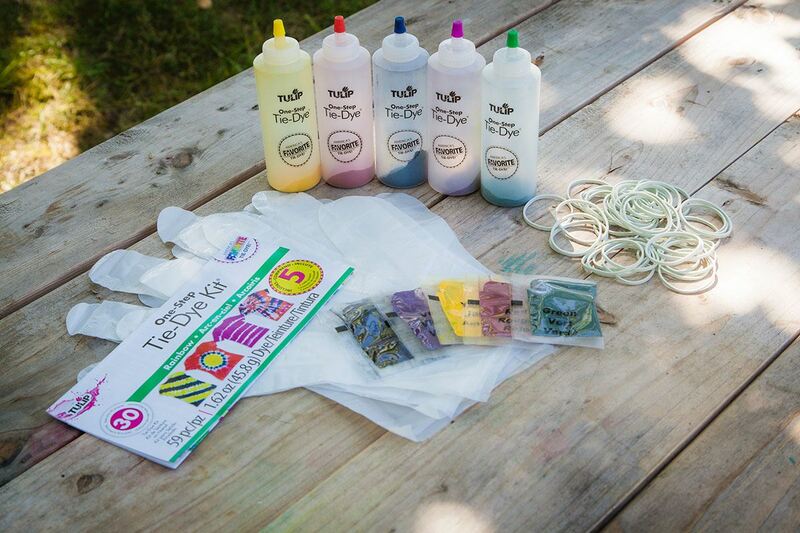 Once your fabric is secured, it’s time to mix your Tulip dyes! 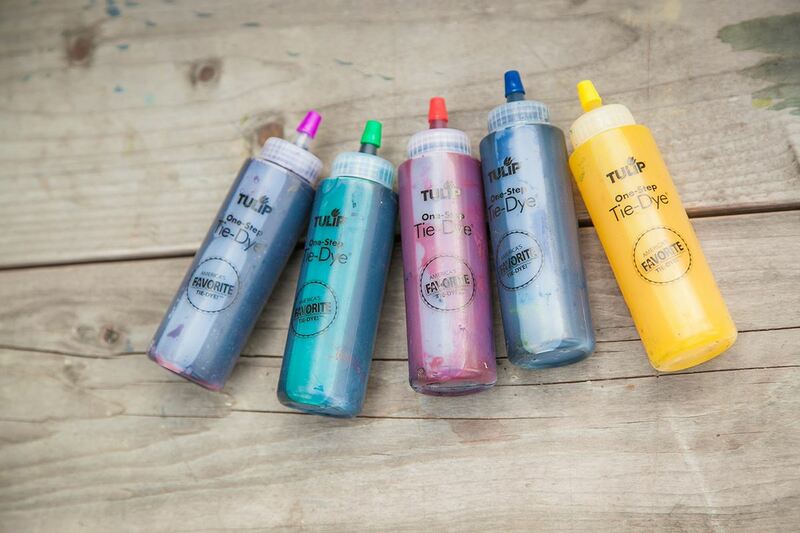 Simply add water and shake the dye bottles until all of the dye is mixed. 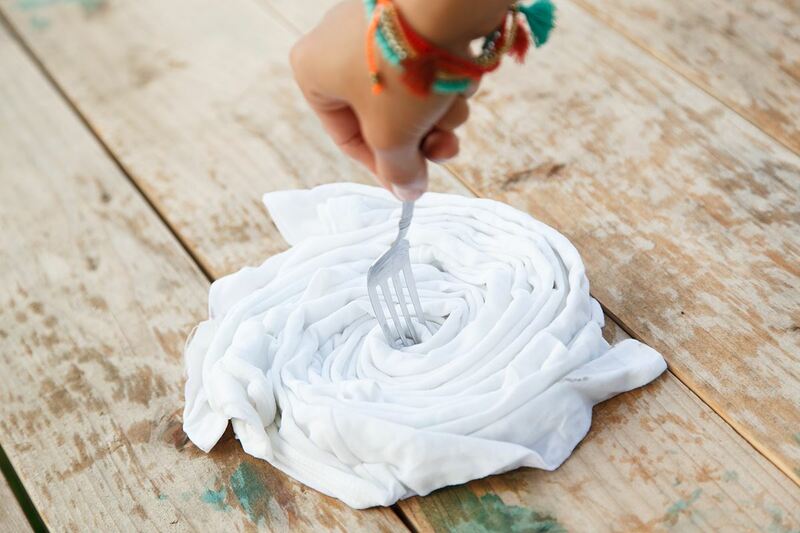 Squeeze dye onto different sections of your bound fabric to your liking. 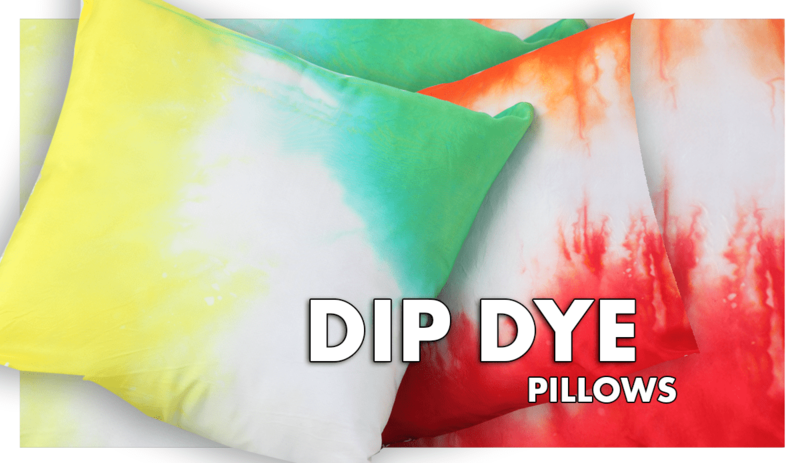 You might need to rotate and/or flip your fabric as you are applying dye to make sure you cover all sections. 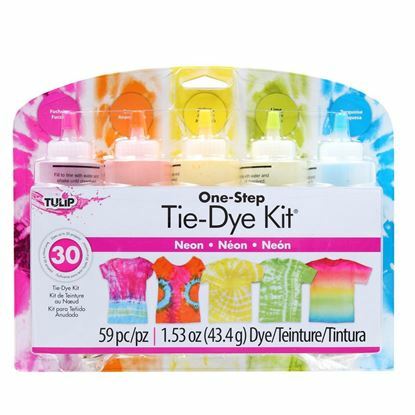 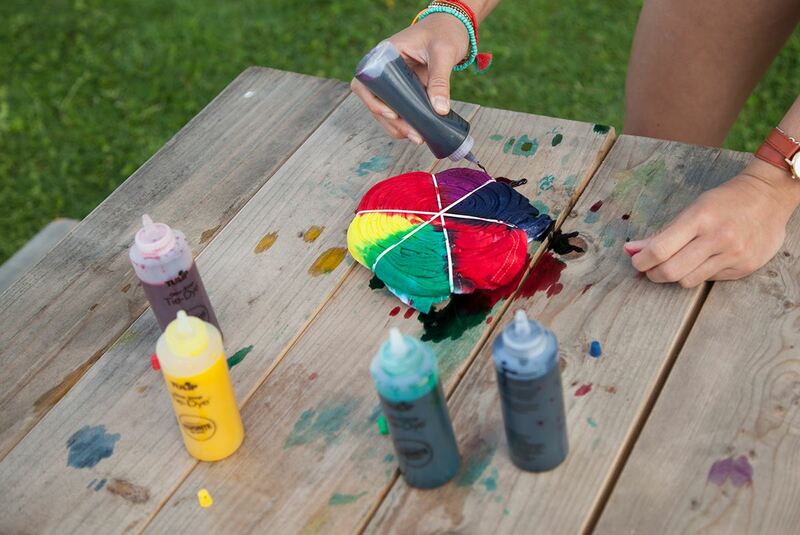 Cover your tie dyed fabric in plastic to keep damp while the dye sets. 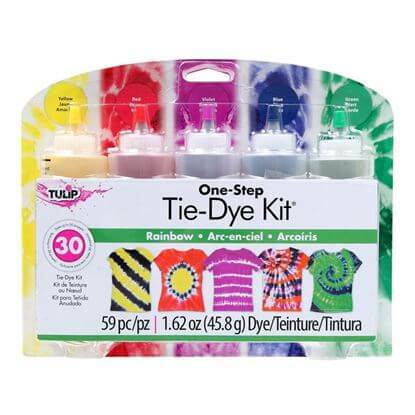 Let it set for 6 to 8 hours or longer for brightest colors. 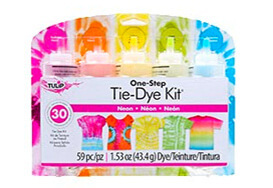 Follow the tie-dye instructions included in your kit for laundering.